Skin Savior: What is Skin Immunity? 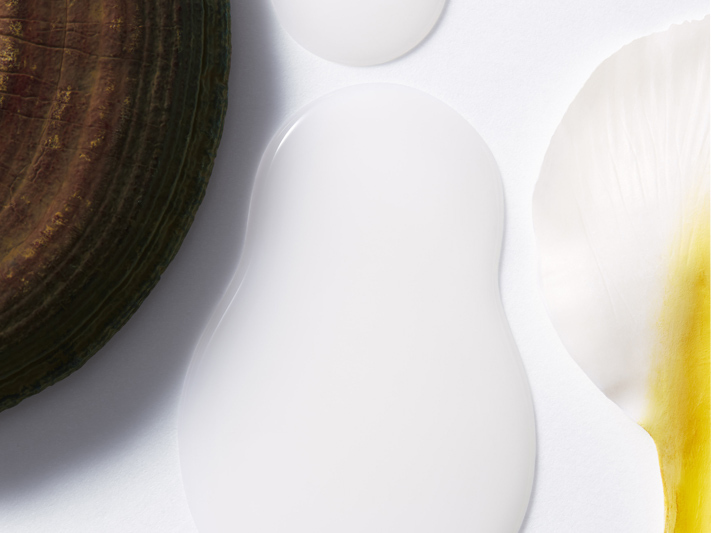 Immunity is one of the buzzwords of the year in the skincare industry according to the beauty gurus in the know, but what exactly does skin immunity mean? We all know about taking our vitamins, guzzling down our spinach and kale smoothies, and other healthy tips for boosting our immune system when we’re feeling rundown, but how can we help to boost the immunity of our skin specifically? And what’s the real effect of this on your complexion? We look into the science of skincare and get the inside track on how to protect your skin from daily aggressors such as pollution and stress. Your skin is the first defense against viruses, bacteria, microbes and toxins. These cells work as a buffer against germs, and they also protect your skin from air pollution, UV rays and other environmental stress. “Langerhans cells, which exist in the upper layer of the epidermis, detect foreign invaders and warn other cells to fire up the immune functions,” explains Dr. Junichi Hosoi, senior scientist at Shiseido. Unfortunately, as we age, the cumulation of factors such as stress, diet and external attackers like smog, radiation, pollution and environmental dryness or heat, can diminish the powers of these protective cells. So, in the same way that when you’re tired your body is susceptible to germs and you may get sick, these irritants can penetrate your skin when the Langerhans cells are fatigued. Subsequently your complexion suffers. While in practical terms you may be able to take some measures with your diet and lifestyle that can help to strengthen and protect your skin against damaging environmental factors like pollution, unfortunately products can’t actually affect your skin’s immunity, rather they can work to help increase the skin’s defenses against external aggressors. 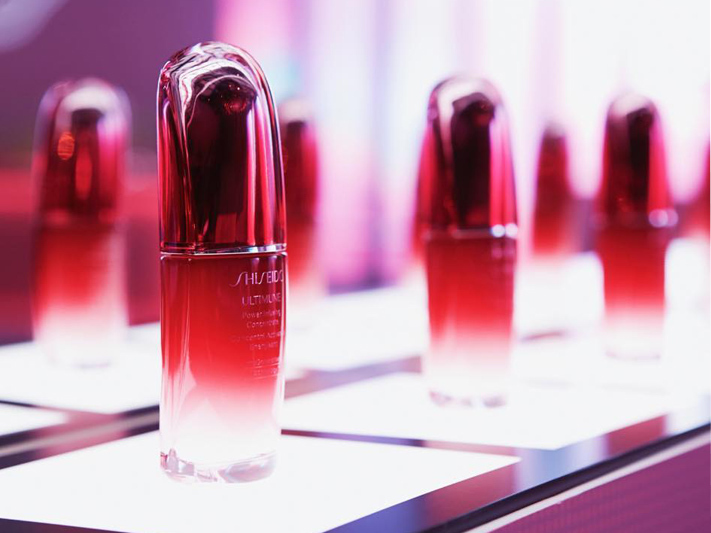 While not specifically boosting your immune system (as this must be done from the inside), the scientists at Shiseido have spent twenty years creating Shiseido Ultimune Power Infusing Concentrate. Dubbed ‘self-defense for your complexion’, this product works by helping to protecting your skin from the outside against external stressors. The fluid also works to hydrate and smooth the skin for a fresh-faced effect. Date has shown that after two weeks of using this product, women felt that their skin was smoother and more supple. When people suffer from sensitive skin, this is often due to an internal inflammatory reaction to some external trigger. Those with sensitive skin have stronger internal inflammatory reactions, so coming into contact with certain perfumes, cosmetics, metals or pet fur can result in skin that’s itchy, red and dry. Unfortunately this is often hereditary but it can be managed by nourishing skin with antioxidants, from the inside out. How can you manage inflamed, sensitive skin? Firstly the science bit! The body converts dietary fats to pro- and anti-inflammatory chemicals called prostaglandins. People with sensitive skin lack an enzyme that helps to convert these fats to anti-inflammatory chemicals. This means their skin reacts more frequently. One way to help this is to take essential fatty acid supplements – GLA, EPA and DHA – as well as eating foods naturally rich in EPA and DHA, such as oily fish. Also look for ingredients in your skincare products which will soothe skin. Shiseido Ultimune Power Infusing Concentrate contains anti-inflammatory botanicals to help keep your skin calm and happy. These include gingko biloba leaf and wild thyme, as well as Japanese shiso, which protects skin against acne-causing oxidized sebum. How else do products help to strengthen your skin? 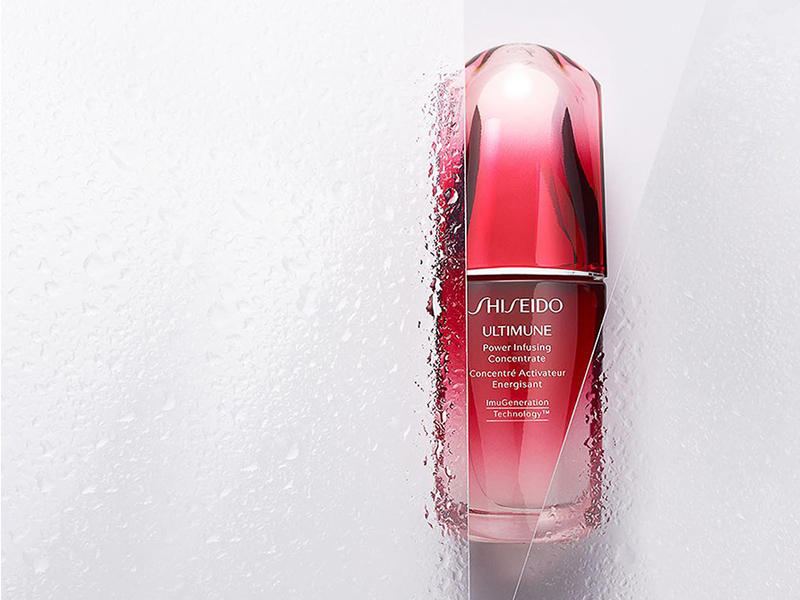 Shiseido Ultimune Power Infusing Concentrate is targeted to try and help weakened Langerhans cells using a combination of skin-soothing ingredients. CM-Glucan is a yeast derivative that’s been shown to help the skin with its natural self-protection. This is combined with complexion-soothing, ultra-gentle Bulgarian rose water, as well as a humectant that may help to increase the function of the Langerhans cells in your skin. Is there anything else we can do to build up our skin’s natural defenses? “There’s no doubt that the most important molecule for promoting and maintaining skin health is vitamin A,” explains Tracy Tamaris, co-founder of the International Institute for Anti-Aging. “It’s responsible for cell differentiation, maturation and growth.” A multi-faceted approach is best, so that means great skincare, a good diet full of rainbow-colored fruit and vegetables, healthy proteins and plenty of water – plus Omega 3 and 6 taken orally. “It’s important to add a brigade of antioxidants as these will protect the skin from free radical damage. Vitamin A is essential, too, as it protects Langerhans cells and prevents them from being destroyed,” adds Tamaris.